In the morning of 22 September 2016 International Partnership for Human Rights (IPHR), the International Federation for Human Rights, Amnesty International and Human Rights Watch organized the side event “Human rights in Uzbekistan after Karimov” at the OSCE Human Dimension Implementation Meeting (HDIM) in Warsaw. Brigitte Dufour from International Partnership for Human Rights opened the event by noting that the Acting President of Uzbekistan Shavkat Mirziyoyev has announced six priority areas for the country, but human rights are not amongst them and that it is therefore of utmost importance that Uzbekistan’s international partners ensure that human rights are included as a key priority in all bilateral and multilateral meetings with the post-Karimov leadership. Editor in Chief of Fergana.ru, Daniil Kislov spoke about Karimov’s political legacy and ongoing political challenges in Uzbekistan. Head of the International Human Rights Association Fiery Hearts Club Mutabar Tadjibaeva raised concerns about the arbitrary extensions of prison sentences for prisoners convicted on politically motivated charges for allegedly violating prison rules. Not one political prisoner has been released so far in 2016. Communications director from Radio Free Europe/ Radio Liberty Joanna Levison described the increased attacks on RFE/RL reporters and their relatives inside Uzbekistan since April 2016, in retaliation for the media outlet’s independent reporting. 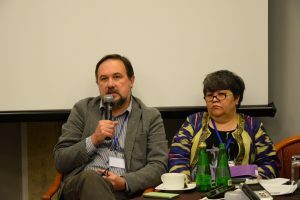 Vitaly Ponomarev of Memorial Human Rights Centre gave an overview of the severe restrictions in place on religious freedoms, and gave examples of people arrested and sentenced to up to five years in prison for having verses from the Koran in their possession. Maisy Weicherding, Researcher at Amnesty International, spoke of the devastating effect of torture not only on individual victims but also on their families and on the wider society. Nadejda Ataeyva, director of Association for Human Rights in Central Asia talked about the risks posed to refugees from Uzbekistan living abroad and underlined that, despite Uzbekistan’s reputation for pervasive use of torture to control dissent, OSCE participating states continue to forcibly return people to Uzbekistan. 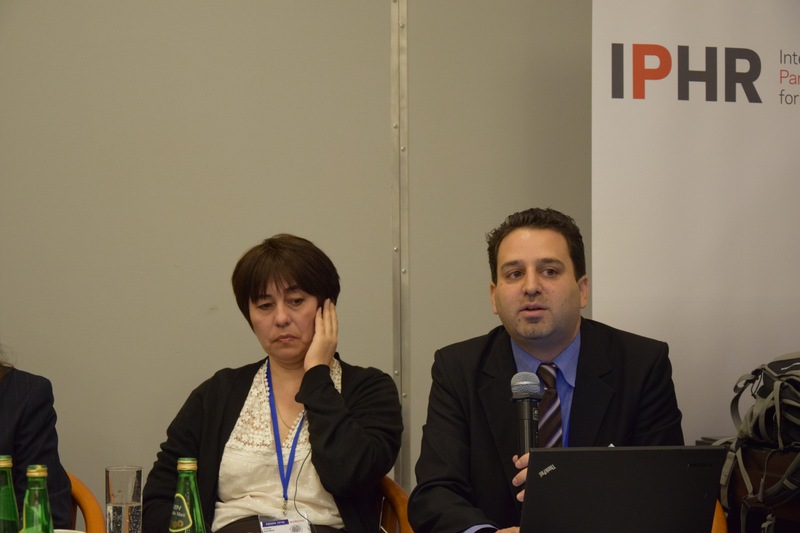 Steve Swerdlow from Human Rights Watch raised the unprecedented attacks and harassment on human rights defenders who spoke out at the time of Karimov’s death. 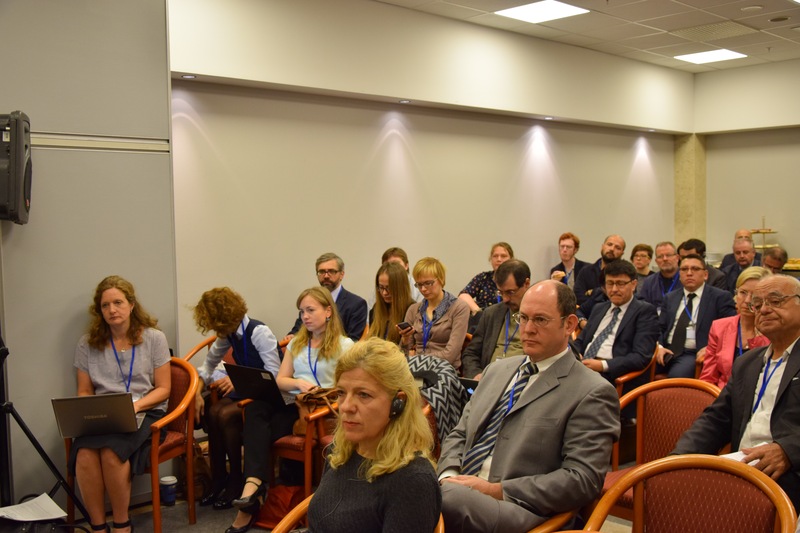 He regretted that OSCE participating states have failed to publicly articulate clear expectations for reform in this critical period prior to Presidential elections scheduled for 4 December. 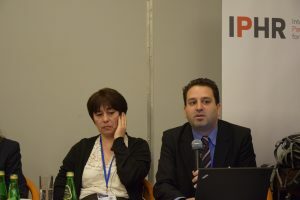 An active debate followed concerning tools for effective change with some speakers calling for a joint approach of diplomatic dialogue with public campaigning and others warning of the negative repercussions of public campaigns in individual cases.